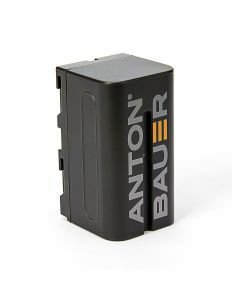 Anton Bauer NP-F774 is a compact battery used to power most 'Sony L Series' type cameras and accessories. The Anton/Bauer NP-F774 is a 7.2V, 4400mAh (30Wh) Li-Ion battery that provides reliable, long-lasting battery power in a compact format. There are two chargers available for this new battery - a single position and a dual position.